Guaranteed powerful basic and maintenance cleaning, e.g. 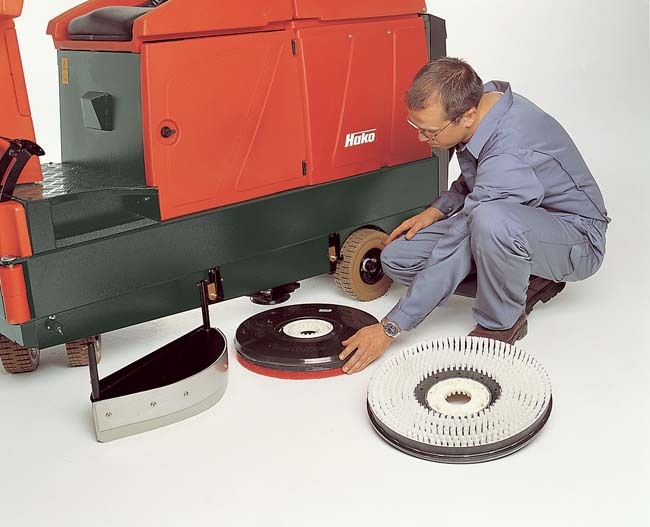 brush pressure can be adjusted up to 60 kg via a foot pedal for basic cleaning. A powerful, efficient pre-sweep unit to sweep up loose dirt in the dry area in front of the scrubbing brushes (optional brushes). A powerful drive motor with power reserves for gradients of up to 10%. Comfortable work place. As a result of the compact construction, areas which were previously cleaned with a pedestrian-operated machine can be cleaned whilst the operator is seated comfortably. Optimum view of the area to be cleaned, thanks to the central position of the driver's seat. Extremely easy operation: The green Scrubmaster button starts all working functions at the push of a single button. The "Hako Control System": The machine is programmed by our engineers according to your specific requirements (e.g. brushes and water supply stop when machine comes to a standstill). A saving up to 50% of water and cleaning agents by means of the Hako Aqua-Stop System. Tested and approved. This saving, when calculated over the machine lifetime, corresponds to the initial cost of purchase. 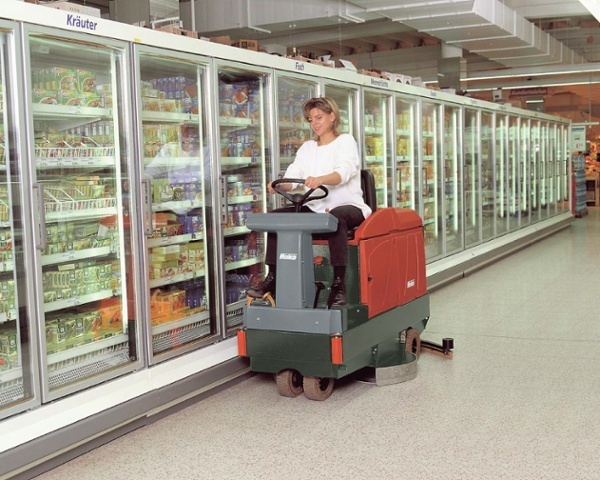 Increased productivity when compared with pedestrian-operated machines. 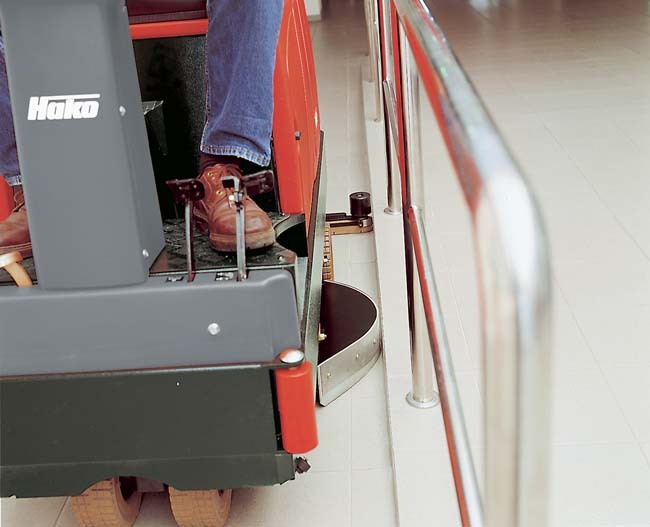 The compact ride-on machine, 90cm range for complete cleaning in one operation. Scrubmaster B140 R - Powerful cleaning whilst comfortably seated. Up to 5.300m². 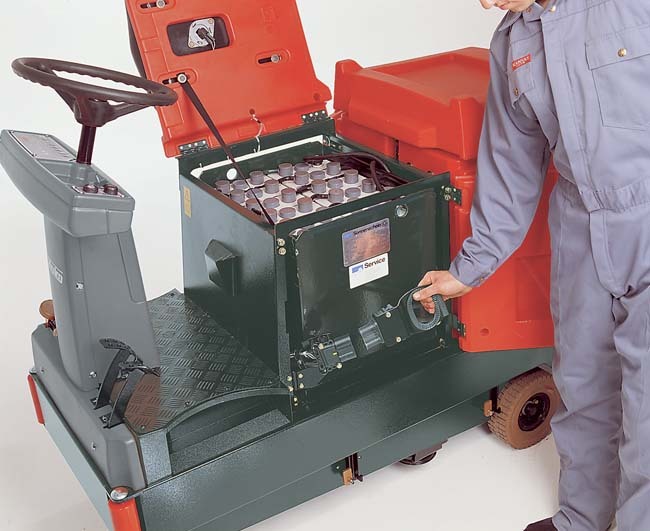 The Scrubmaster B140 R offers optional efficient pre sweep that spares laborious preliminary cleaning and saves up to 40% of extra costs for additional machines. It already collects loose dirt from the dry floor before the scrub brushes set to work. 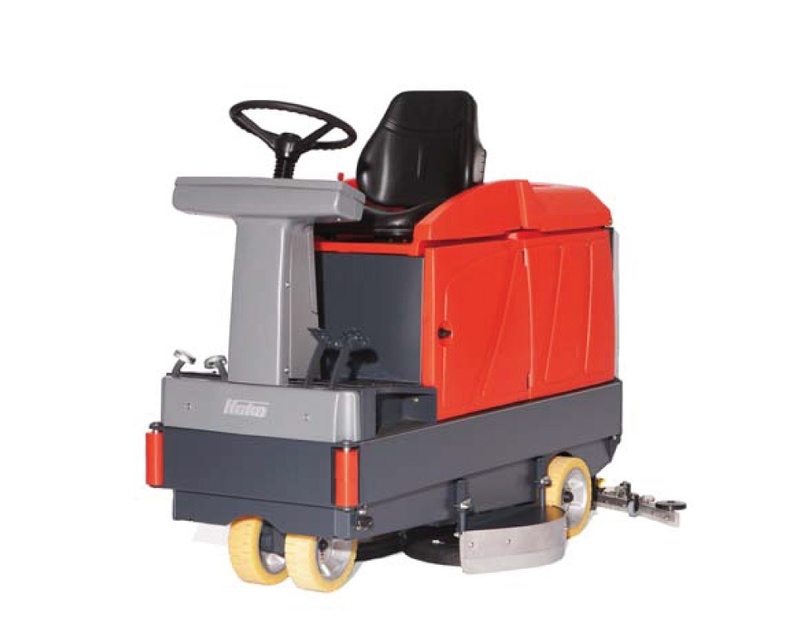 The small turning radius makes the compactly-built Scrubmaster B140 R ideal for cleaning narrow floor spaces. 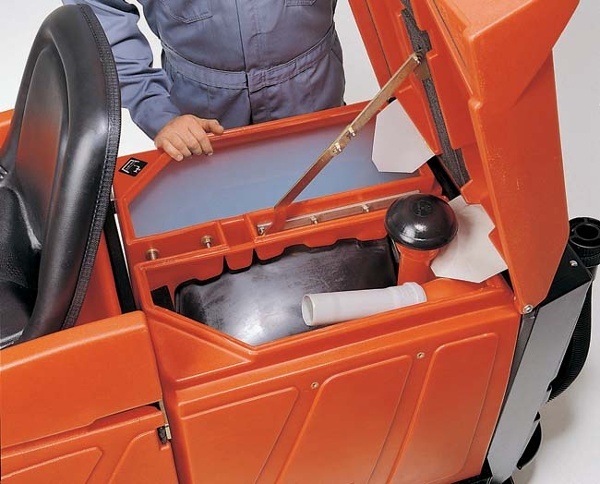 The centralized driver’s seat provides an optimal view of the floor space to be cleaned. The cockpit can be entered from both sides. The comfort seat can be individually adjusted for convenient fatigue-free working. Each work process can be started simply by pushing the GREEN Scrubmaster button. All operating elements are in direct visual- and operating range of the driver. The parabolic-shaped squeegee provides excellent cleaning results even in curves and on problem floors. The brushes and pads can be easily changed, no tools needed. The batteries are easily accessible and can be equipped with a quickchange system (option). The big flex-tank has a capacity of 140 litres. The drain hoses equipped with a built-in dosage system allow fast emptying. The Hako-Aquastop®-System saves up to 50% of water and cleaning agents.